Extra: Removed sticker back sleeve, wear of age backside. Queenfan combine shipping and shipped normally registered with track and trace above the value of €25. 1 or 2 cd's, 1 till 5 7"singles or 1 till 3 12"records for the same shipping price. More than six 7"singles, two cd's or three 12"records, contact me for more details and for alternative delivery services. Queenfan use the actual shipping costs, and will NEVER make profit. If you pay to much shipping-costs, i will refund you the difference. Records will be shipped outside of the outer sleeve to prevent seam splits and extra ringwear. Queenfan will not be responsible for any loss or damage during shipping. All items will be packaged after payment within three business days. Queenfan cannot be held accountable for any customs related delays, but i sent always as a gift with low value outside the European Union. Mint (M): Absolutely perfect in every way. Certainly never been played, possibly even still sealed. Should be used sparingly as a grade, If at all. Near Mint (NM): A nearly perfect record. Many dealers won't give a grade higher than this implying (perhaps correctly) that no record is ever truly perfect. The record should show no obvious signs of wear. A 45 RPM or EP sleeve should have no more than the most minor defects, such as almost invisible ring wear or other signs of slight handling. An LP cover should have no creases, folds, seam splits or other noticeable similar defects. No cut-out holes, either. And of course, the same should be true of any other inserts, such as posters, lyric sleeves and the like. Basically, an LP in near mint condition looks as if you just got it home from a new record store and removed the shrink wrap. Near Mint is the highest price listed in all Goldmine price guides. Anything that exceeds this grade, in the opinion of both buyer and seller, is worth significantly more than the highest Goldmine book value. Excellent (EX): Generally worth 75% of the Near Mint value. A Excellent record will show some signs that it was played and otherwise handled by a previous owner who took good care of it. Record surfaces may show some signs of wear and may have slight scuffs or very light scratches that don't affect one's listening experiences. Slight warps that do not affect the sound are "OK". The label may have some ring wear or discoloration, but it should be barely noticeable. The center hole will not have been misshapen by repeated play. Picture sleeves and LP inner sleeves will have some slight wear, lightly turned up corners, or a slight seam split. 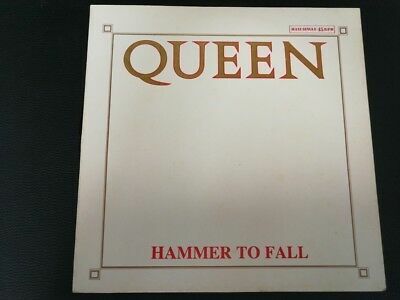 An LP cover may have slight signs of wear also and may be marred by a cut-out hole, indentation or corner indicating it was taken out of print and sold at a discount. In general, if not for a couple things wrong with it, this would be Near Mint. All but the most mint-crazy collectors will find a Excellent record highly acceptable. Very Good (VG): Generally worth 50% of Near Mint value. Many of the defects found in a VG+ record will be more pronounced in a VG disc. Surface noise will be evident upon playing, especially in soft passages and during a song's intro and fade, but will not overpower the music otherwise. Groove wear will start to be noticeable, as with light scratches (deep enough to feel with a fingernail) that will affect the sound. Labels may be marred by writing, or have tape or stickers (or their residue) attached. The same will be true of picture sleeves or LP covers. However, it will not have all of these problems at the same time, only two or three of them. Goldmine price guides with more than one price will list Very Good as the lowest price. This, not the Near Mint price, should be your guide when determining how much a record is worth, as that is the price a dealer will normally pay you for a Near Mint record. Good (G): Generally worth 10-25% of the Near Mint value. Good does not mean Bad! A record in Good condition can be put onto a turntable and will play through without skipping. But it will have significant surface noise and scratches and visible groove wear (on a styrene record, the groove will be starting to turn white). A cover or sleeve will have seam splits, especially at the bottom or on the spine. Tape, writing, ring wear or other defects will start to overwhelm the object. If it's a common item, you'll probably find another copy in better shape eventually. Pass it up. But, if it's something you have been seeking for years, and the price is right, get it...but keep looking to upgrade. Payment is possible by Paypal or European Bank-transfer. Buyers from the Netherlands, please pay with Bank-transfer. The buyer can return the bought item within 14 days and is responsible for the return shipping cost. If a return is being made due to an error on Queenfans part, Queenfan will cover all shipping costs to rectify the situation. The charges are the buyer's responsibility. Please check with your countries custom office to determine what these additional costs will be prior to bidding / buying.